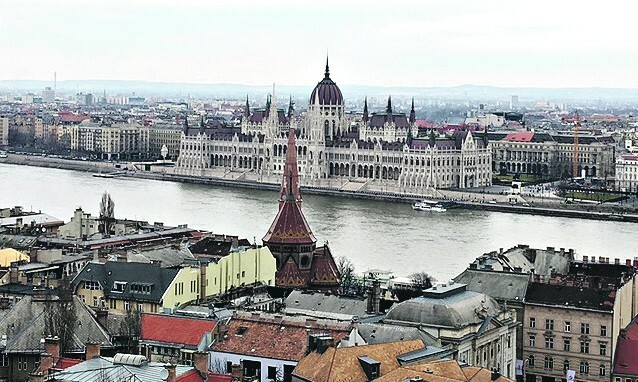 Despite being divided into three separate towns – hilly, tranquil Buda and Obuda on the western side of the Danube and flat, bustling Pest on the eastern side – the city of Budapest is relatively compact and much of it can be traversed by walking (I was excited to see how my daily steps and kms notched up on my fitness app). On arrival, after dropping our bags at the centrally located Corinthia Hotel, we headed straight to the New York Café, a magnificent tearoom with red carpets, cherubs on the ceiling and gilt décor, plus a string quartet to entertain diners. 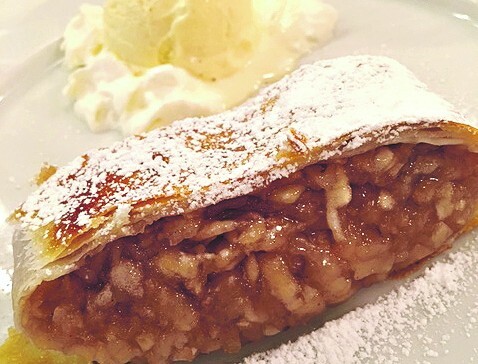 Thus re-energised, we wandered the whole length of Vaci Utca (Budapest’s answer to Oxford Street) and sampled a freshly made Kürtőskalács, or chimney cake, which is like sweet flattened crusty bread rolled in sugar – delicious! We popped in to the Central Market Hall, a calmer, more ordered version of London’s Borough Market, and later dined at Babel, one of the city’s newer restaurants. The next day, we did a four-hour walking tour with a fascinating Jewish guide. She took us to Heroes’ Square for a potted history of Hungary’s leaders, who are commemorated in statues and from there walked us through the City Park, past the famous Gundel restaurant, a Budapest institution along Oslo Court lines, but much grander and much more expensive, towards the Szechenyi Spa. 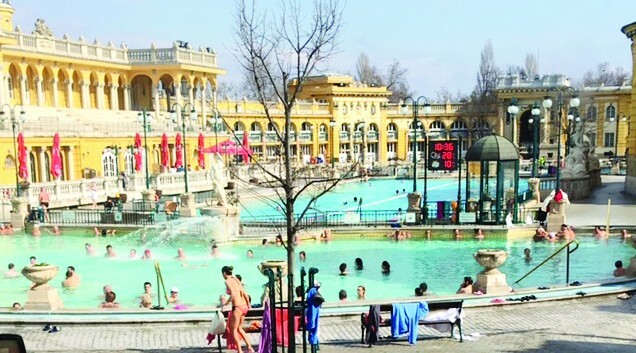 A special feature of Budapest is the spa society; the city has 120 thermal springs with warm therapeutic waters. 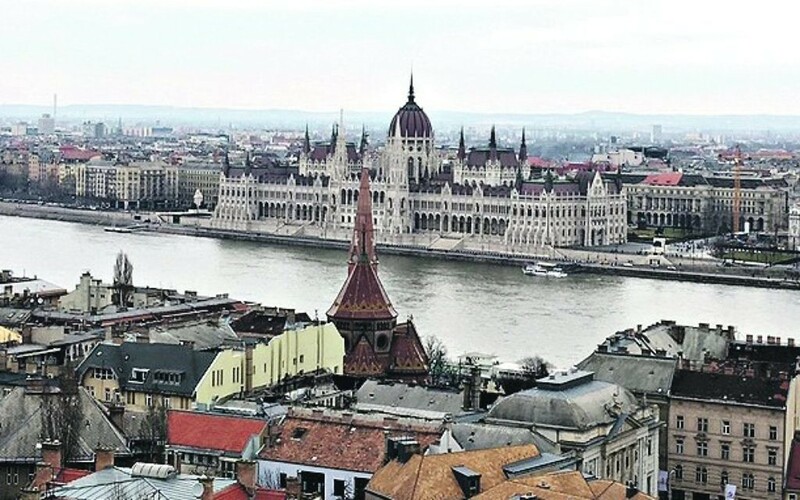 Buda is home to the best, Gellert Baths, while Szechenyi is one of the largest spa complexes in Europe and the first to be built in Pest. Water temperature is 74ºC and a chilly March day saw hundreds of people luxuriating in the warm outdoor springs. 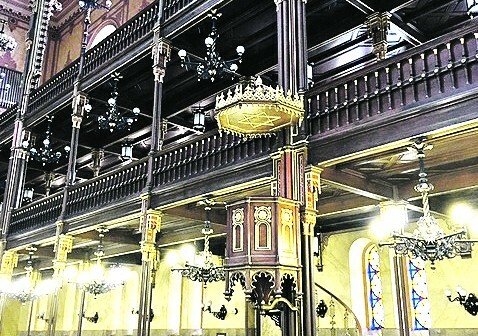 Next stop was the Dohany synagogue, also known as the Great Synagogue, the largest in Europe, which can hold more than 3,000 people – the ladies’ gallery is two-tiered. Theodore Herzl was born in a house next door in 1860. The area around the shul became a ghetto in 1944 for six weeks, during which 14,000 Jews died and many thousands more were sent to Auschwitz. In total, 600,000 of Hungary’s Jews died during the war and there is a beautiful cemetery garden in the synagogue complex where 2,000 of those ghetto dwellers are buried in mass graves. Also there is the Raoul Wallenberg Memorial Park, home to the Holocaust memorial, the Emanuel Tree, which has the names of Hungarian Jews killed inscribed on its metal leaves. The memorial was sponsored by the Emanuel Foundation, which was created in 1987 by the actor Tony Curtis in honour of his Hungarian-born father, Emanuel Schwartz. There is also a Jewish museum at the shul. Today, the area around the shul is the Jewish Quarter, home to several more synagogues, Jewish shops and restaurants. We ate at Spinoza, a traditional Hungarian Jewish-style restaurant and Mazel Tov, a newly-opened trendy Israeli restaurant, which was playing live music and hosting a quiz on the night we went. The Jewish Quarter is also home to many of the city’s ruin bars, so-called because they are housed in ruined buildings. Szimpla Kert is the biggest of these, and features a huge number of little rooms, eclectic furniture, graffitied walls and, above all, a terrific atmosphere. 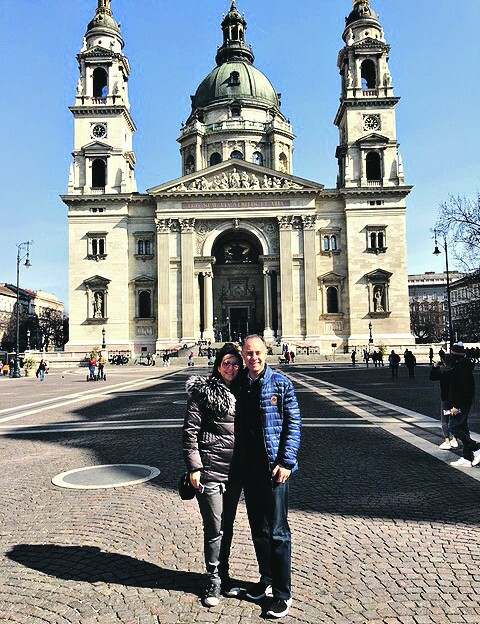 The next day, we hopped on a bus to the Buda side for magnificent views of Pest across the Danube and then made our way back for a guided tour of the Hungarian State Opera house. Tea at the famous Gerbeaud teahouse followed – rich dark hot chocolate and a slice of Sacher Torte (we walked 18km that day – we deserved it!). 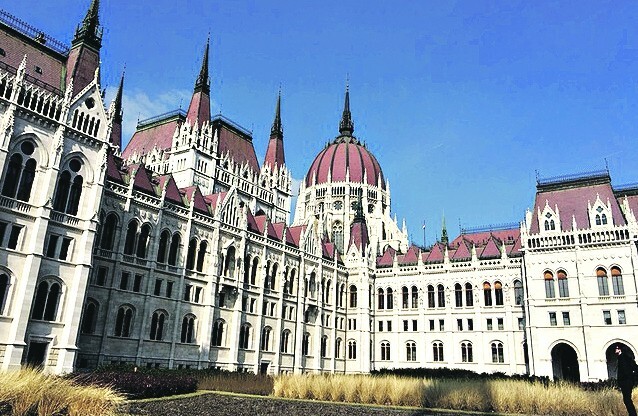 Budapest’s pièce de résistance is the magnificent Parliament, modelled on our own Houses of Parliament, in front of which is the Shoes on the Danube memorial. In the winter of 1944, many Jews from the ghetto were rounded up by the ruling Arrow Cross Party, forced to strip naked on the banks of the river and shot. They fell into the river and were washed away. 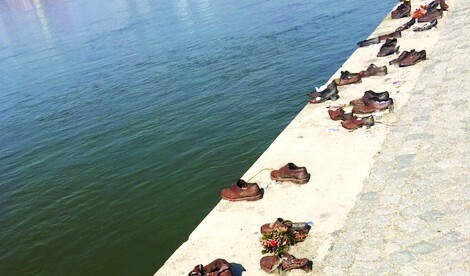 The memorial features 60 pairs of rusted shoes in different sizes. As we stood there on a sunny day, we reflected on our own freedom, which allowed us to visit this wonderful city.